Established and Profitable Sporting Goods Retail Franchise For Sale - 20 Years in business!! Play It Again Sports celebrates 20 years in the North Olmsted market and the current franchisee is ready to retire and pass this well-established business on to new ownership. The store occupies 3500 square foot space in a busy center. Leased at very favorable rent until 4/31/21. The space itself was brought up to franchise standards 3 years ago. The plaza is on a high traffic street in view of the regional mall. There is plenty of parking in front of the store. This store is profitable and has sufficient cash flow to run the operations day-to-day expenses. Profit and owner benefit is well over $150,000 annually. 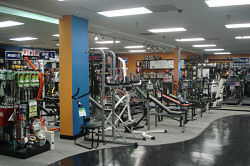 No traditional retailer can compete with the trade in advantage offered at Play It Again Sports. Play It Again Sports is a unique retail concept owned by Winmark Corporation, a pioneer in retail resale franchising. Play It Again Sports was founded in 1983 with the first franchises awarded in 1988. The brand is now nearly 300 stores strong making it the largest new and used sporting goods retailer in North America and a major force in the sporting goods retail industry. This provides our franchise partners the buying power, vendor leverage and competitive pricing that only big box retailers typically enjoy. The Play It Again Sports model is built around our process of buying, selling and trading quality used and new sports gear and fitness equipment. How big is the industry? Annual sales of sporting goods equipment, fitness equipment and sporting goods footwear reached almost $65 billion in 2015! With new equipment representing over 60% of the sales in our stores, we’re a major player in the new sports gear industry. However, our franchisees have an advantage – they can buy the inventory back from their customers paying them on the spot for their gear, and then sell it at a great margin and recycle it back into the community. At Play It Again Sports, everybody plays – including our franchisees! It’s what they’ve been doing their entire lives. Whether it’s supporting their kids from youth sports to college athletics or playing in their own golf, soccer, baseball or softball league, the common denominator of our typical franchisee is they still love to play and participate in sports in their community. A Play It Again Sports franchise is the perfect business model for those who want to build a business doing what they love. Where can you spend your day talking about sports, provide a valued service to the community and build a business all at the same time? Right here, at Play It Again Sports – the official sponsor of all those who play! 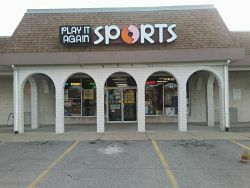 To find out more about this Play It Again Sports franchise for Sale please fill in the form below and submit. Florence - Kentucky - $0 SOLD! North Olmsted - Ohio - $0 SOLD!